Happy Tuesday, all! 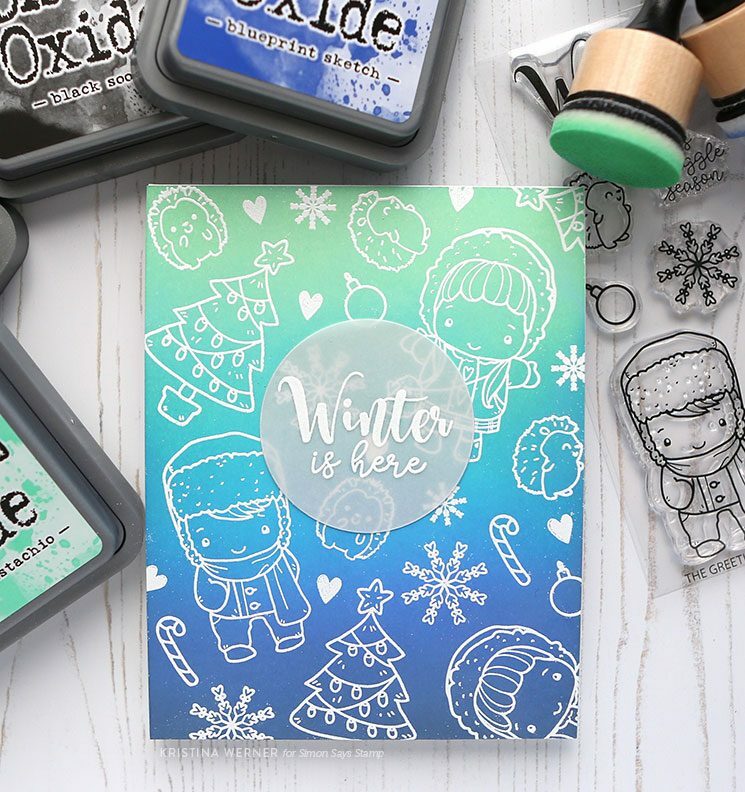 Today I have a fun card design featuring the newest STAMPtember collaboration stamp set from The Greeting Farm called Winter Is Here! I love all the people stamps from The Greeting Farm–they’re awesome for coloring! However, for this card, I decided to create a design that does not require coloring. Instead, I did some ink blending! Before stamping all the cute images from the Winter Is Here stamp set, I used four colors of Distress Oxide Ink to create a blended background. I used Cracked Pistachio, Mermaid Lagoon, Blueprint Sketch, and Black Soot. After the ink blending was dry, I stamped images from the stamp set in VersaMark ink and applied white embossing powder. Then I heat set it until it was smooth and melted. 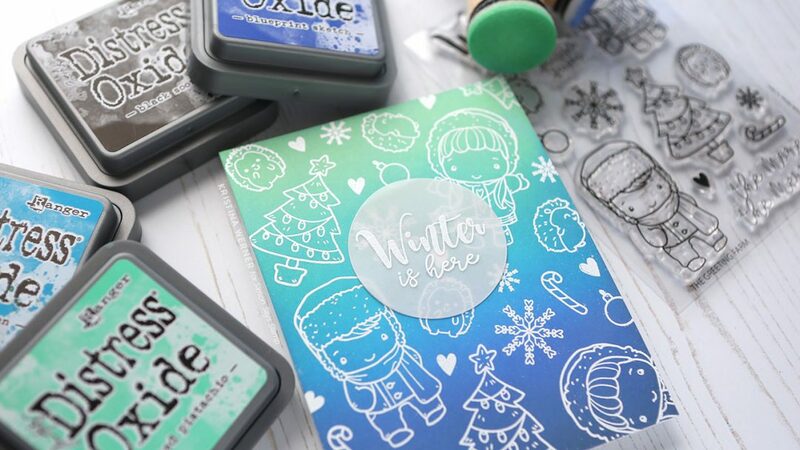 For the greeting, I stamped and embossed the “Winter is here” greeting and die cut it using a circle die. I cut an additional vellum circle to put behind the greeting as well. I adhered the greeting using Ranger Multi Medium Matte adhesive.